Is OSPAR Losing Ariadne’s Thread? 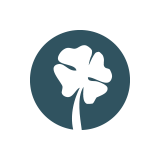 Cork Ireland, 26-29 June 2017, 17 floors above the river Lee overlooking endless green hills on one side Church towers on the other the OSPAR Commission for the protection and conservation of the North-East Atlantic finalised and launched the Intermediate Assessment (IA) 2017. The IA 2017 (1) presents an overview of scientific knowledge through 47 assessments and provides a preview of OSPAR’s steps towards addressing the agreed goals to reduce human impacts on the marine environment by 2020. 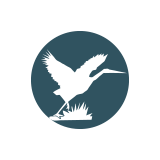 The findings show that there is a clear reduction in monitored hazardous substances but that further measures are needed to protect vulnerable species and habitats. Despite challenges, notably in addressing marine litter and managing Marine Protected Areas (MPAs) (2), the IA shows clear progress towards the North East Atlantic Environment Strategy (NEAES). The NEAES is the guiding force of the Convention. It establishes the targets for the Radioactive Substances, Offshore Industry, Hazardous Substances and Eutrophication, Human Activities and Biodiversity committees. On a cold summer’s day, the OSPAR Commission attempted to reconsider the OSPAR 2010 Bergen Ministerial Statement and postpone the publication of the 2020 Quality Status Report (QSR). Under cold blasts of a broken air conditioner, Robin des Bois and Greenpeace called for the 15 Contracting Parties and the European Union to respect the timeframe agreed on by the Ministers in 2010, alas it was decided that the QSR would be postponed until 2023. In Cork, Contracting Parties attempted to equally postpone the Bergen 2010 NEAES to 2023. On this note, Robin des Bois insisted that the logical thread of the strategies would be lost. It is unacceptable for a leading regional seas convention to continue with business-as-usual without the implementation of an agreed commitment by ministers. Therefore, it was decided by OSPAR Commission 2017 to establish a Task team to consider how to bridge an eventual gap with OSPAR’s 2020 objectives. 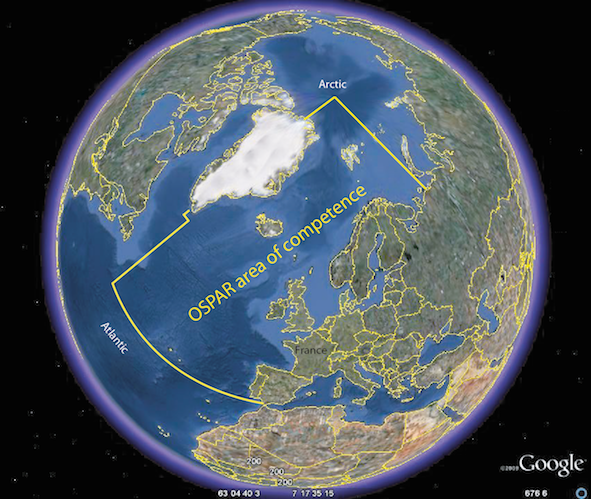 The icy diplomatic frontiers around OSPAR’s most northerly boundaries are starting to thaw, OSPAR has finally been granted observership status at the Arctic Council (3). Finland, taking over Chairmanship of the Arctic Council informed the Commission that environmental protection would be a priority over the next two years. Robin des Bois welcomed this initiative and stressed the need to balance the South and North Poles encouraging OSPAR Contracting Parties to cooperate as the sole body with a United Nations mandate to create Marine Protected Areas (MPAs) in the Arctic. Despite the International Maritime Organisation (IMO) Polar Code which entered into force January 2017, the need for protection is pressing. The Norwegian Ministry of Petroleum and Energy recently decided to open another 102 oil and natural gas leases in the Arctic. In fact, the Norwegian Environmental Protection Agency requested that 20 of these blocks be withdrawn, they are situated in close proximity to the southernmost island in the Svalbard archipelago Bjørnøya (Bear Island), a nature reserve and one of the largest bird-breeding colonies in the north. While black prospects open in the Arctic, oil and gas reserves in the North Sea are drying up. It is estimated that over the next decade 100 platforms will need to be dismantled. The 4 offshore structures from the Brent field exploited by Shell will be sent to Able UK shipyard in Hartlepool. OSPAR Contracting countries do not have the facilities to dismantle the entire petroleum fleet and Robin des Bois insisted on the need to weigh the ethical, safety and environmental consequences of shipping and dismantling platforms or support vessels in Turkey and on the beaches of Bangladesh and India. 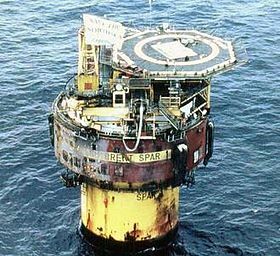 The Brent field became a household name in the 1990s when Shell announced the decision to dump the Brent Spar, a storage and tanker loading buoy. The saga resulted in the Brent Spar being mothballed in Erfjord Norway then converted into a harbour facility near Stavanger and the landmark OSPAR Decision 98/3 on the Disposal of Disused Offshore Installations. This 1998 Decision on Disused offshore platforms is currently under a wider review of OSPAR Decisions, Recommendations and Agreements. Certain Contracting Parties expressed a deep concern that the Offshore Industry Committee would use the review to reverse concrete decisions on the removal of structures. There are a total of 1,357 offshore installations operating in the OSPAR area, 726 are sub-sea steel installations, 545 fixed steel, 22 gravity-based concrete installations. The OSPAR Decision 98/3 includes a derogation category subject to a 5-year review such as for Gravity Based Structures (GBS) and the feet of Steel Piled Structures (SPS) installed prior to 1999 with a jacket exceeding 10,000 tonnes in air. To date, only 7 derogations have been issued such as the for the Ekofisk tank, its concrete barrier and the Frigg TCP2 concrete substructure. In Cork, Robin des Bois encouraged Contracting Parties to use the review process in order to implement more restrictive measures taking into consideration technological advances and responsibilities in the very-long-term. – the major part of a web of 103 km of pipeline connecting the 154 wells to the four Brent platforms, Alpha, Bravo, Charlie and Delta of which only Charlie is still producing. Although this project has yet to be presented to OSPAR, it is a reflection of times to come. The general catch-cry is that artificial habitats have been created and that removal will cause more damage than just leaving certain structures in situ. It should be noted that the oil and gas industry do not currently take into account the real costs of steel production and the possibilities to recycle. The reality is that these artificial habitats have drawn life from natural habitats and the environmental impacts over the very-long-term are not factored into the bigger picture. The long-term impact of possibly leaving in the OSPAR Maritime Area a network of 50 000km of pipelines from the oil and gas industry is of deep concern for Robin des Bois. It is of the utmost importance, as the pigging process theorically used to clean the pipes when left in situ does not remove all scale and other residuals. Scale sticks to the pipelines and contains a deposit of Naturally Occurring Radioactive Materials (NORMs). This is one of the reason why a new 2020 strategy to remove to reuse or recycle the labyrinth of pipelines should be envisaged. Under no conditions should out of sight out of mind become the NORM in the North-East Atlantic and in the Arctic. In Cork, the Commission was equally asked to consider a Norwegian project to dump 250 million tonnes of mining tailings from a rutile ore land-based mine over a 50-year period into the Førdefjorden. The tailings injected via pipeline will form a constant plume and eventually a desert 200 meters below sea level. Heavy metals will contaminate the water column beyond the fjord, the benthic environment, deep-water fish such as redfish, blue ling and dogfish in an area where whales and porpoises congregate. 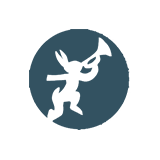 It was decided that a background document should be drawn up to assess whether this activity falls under the scope of OSPAR. Robin des Bois highlighted the fact that unfortunatly this is common practice in Norway, the only OSPAR Contracting Party to permit dumping mine tailings in the North-East Atlantic. Once again, Robin des Bois requested vigilance and longsighted vision by the Contracting Parties on their ecological footprint in the marine environment noting that deep sea mining will become a reality in the not too distant future and that any decisions taken now should not open the door to future and additional pollution. After all, OSPAR was established to take all possible steps to prevent and eliminate pollution. (2) The OSPAR network totals 448 MPAs (5.9% of the OSPAR Maritime Area) of which seven are situated in areas beyond national jurisdiction (ABNJ).